*All quotes in this article compliments of Jordan Salmons, Sales & Marketing Manager at IMS New Zealand. IMS New Zealand are a Hawke’s Bay based company competing on the world stage. They specialise in manufacturing and distributing customised underslung helicopter equipment. 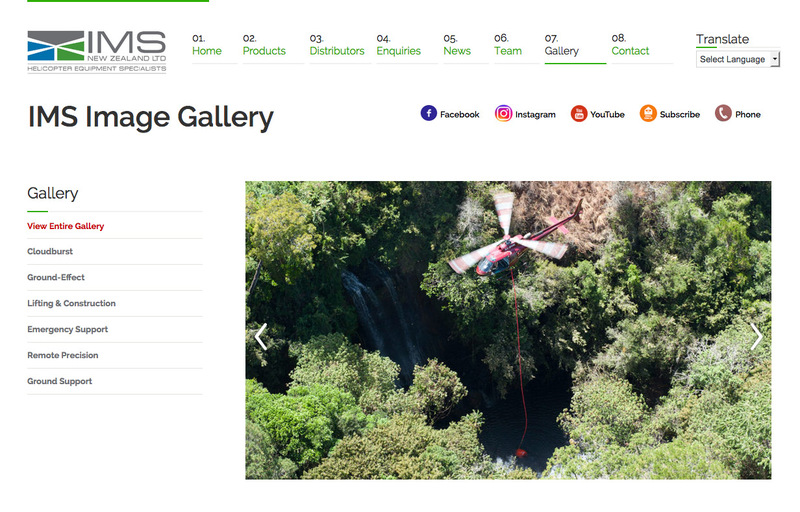 Although primarily operating within the agriculture and fire-fighting sectors, they supply equipment for all types of aerial helicopter missions. It can be difficult for a regionally-located company to get the attention of international consumers on a scale that the quality of their products deserve. So, to achieve global reach, IMS turned to Ed to manage their digital marketing and business communications. The task posed to Ed was to spread the word, across both hemispheres, about the quality and efficacy of the IMS product range by presenting a polished, professional public image in keeping with the international aerospace industry and on par with their global competitors. The website responds seamlessly across devices with design and content in a hierarchy aimed at target audiences. 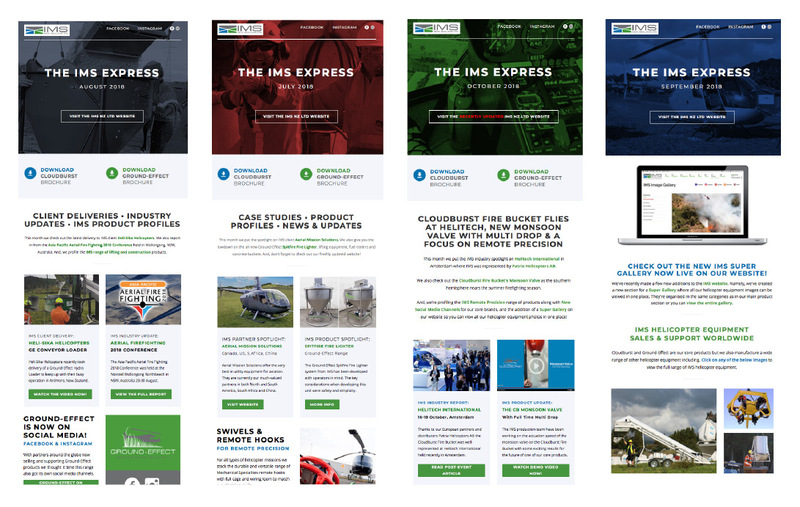 Ed carried out a comprehensive overhaul of the IMS online presence by refreshing the website, re-energising monthly email newsletters with a new template design and carefully-crafted content, and rejuvenating and augmenting existing social media channels. Threads were drawn from all the work IMS were doing in the aerospace and helicopter equipment industry. It was then bound together in a cohesive and coherent package to work across multiple digital media platforms. Tied together with top quality writing that stimulates and captivates consumer interest, the IMS social media channels work symbiotically to generate enthusiasm for the company’s brand identity and product range. Everything is targeted and integrated, as it should be. And with content of such high quality, each follower of IMS’s content becomes a virtual representative for IMS as they share and disseminate IMS material across the web. The digital marketing and communication services delivered for IMS by Ed is comprehensive. 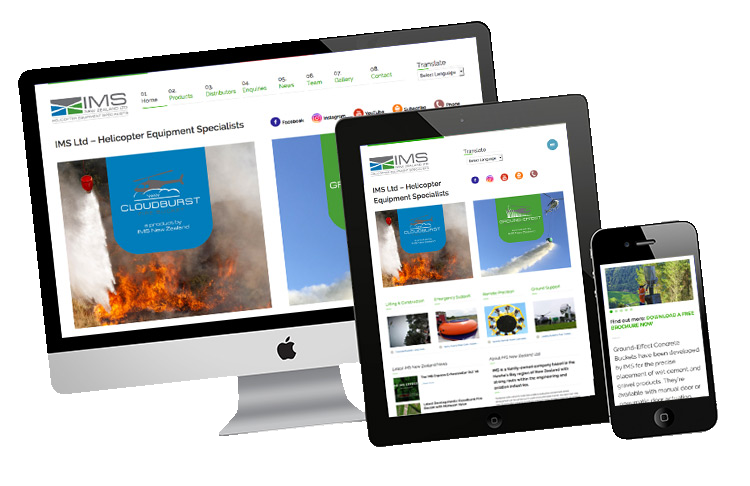 After working with IMS on their digital marketing for six months, the decision was made to separate social media profiles for IMS’s two leading product lines – the Cloudburst Fire Bucket for Aerial Firefighting and and the Ground-Effect Spreading Bucket for Aerial Agriculture. Although both product lines are designed, manufactured, sold and serviced by IMS throughout New Zealand, overseas, particularly in Europe and North America, these products are distributed by partners such as Patria Helicopters in Sweden and USA-based Aerial Mission Solutions, who also have branches in Canada, South Africa and China. 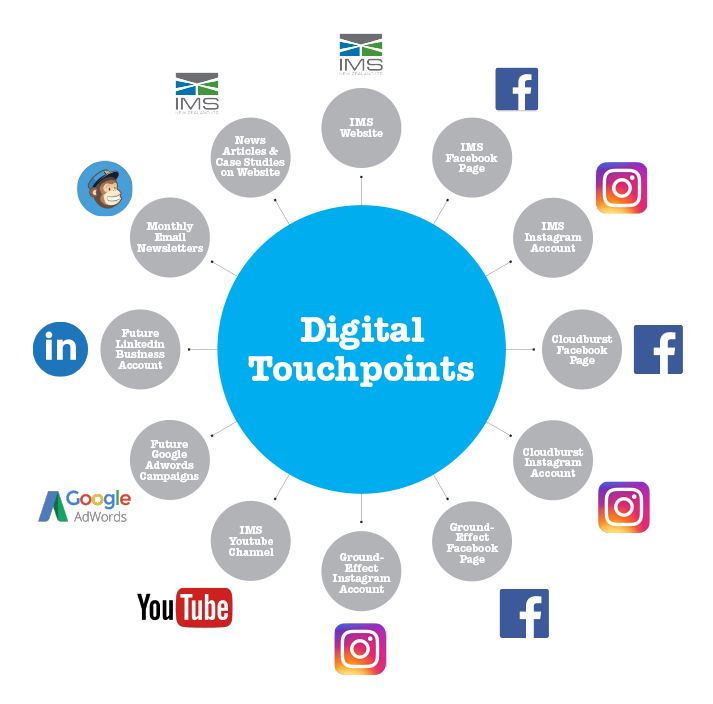 So, by separating social media channels, digital marketing can be more accurately targeted at those invested in their respective sector and geographic locations, which in turn supports IMS distributing partners for sales and support around the world. 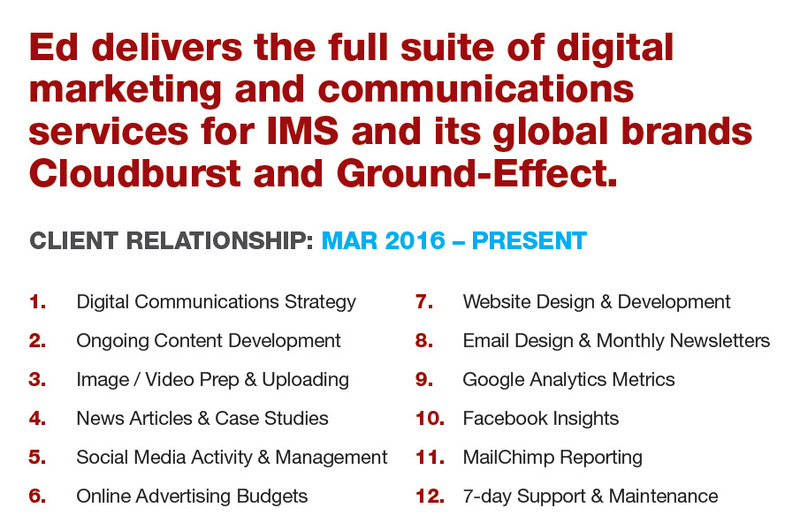 The IMS, Cloudburst and Ground-Effect touchpoints cover all the appropriate channels for effective digital marketing. Ed motivates the team IMS to make the most of their digital marketing opportunities by eliciting market specific content. 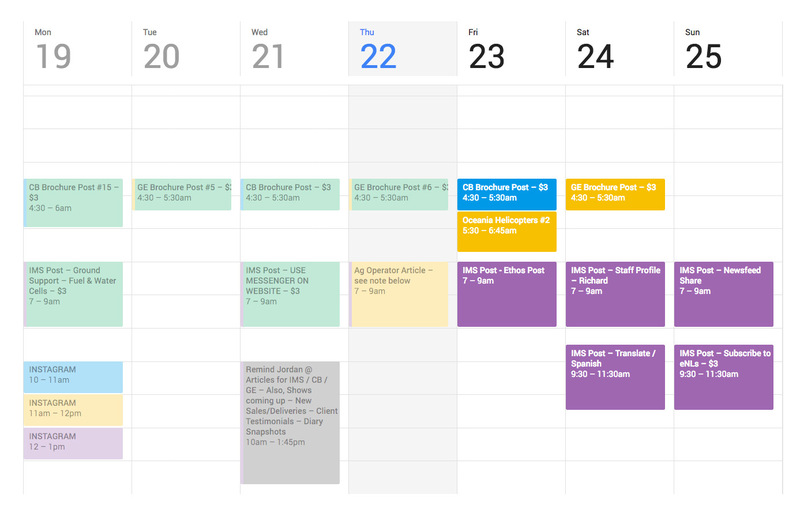 This is planned out and scheduled in monthly Google Calendars highlighting deliverable dates for base material, content streamlining, and its publishing. Content is weaved together from multiple sources such as rough bullet points via email, smartphone images from events, industry news articles, new client product deliveries, broadcast video and fresh manufacturing from the factory floor. 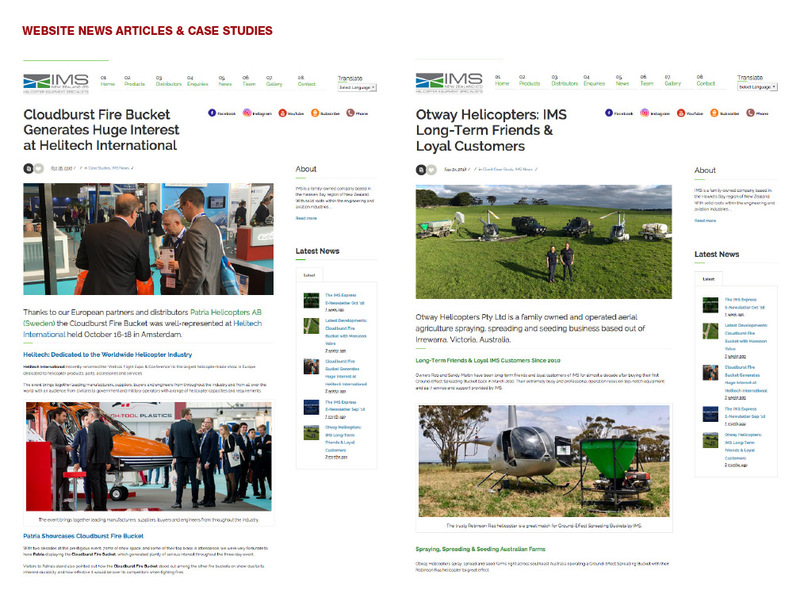 Stories are written in short form for social media through to long-form in the news section on the IMS website. This content needs to be interesting and inspirational to the consumer base, professionally packaged to support a coherent and innovative IMS brand image. Google Calendars are a simple and effective tool to plan and schedule digital marketing activity. Ed engages potential customers through IMS’s digital channels, bedding down a legacy of excellence for current and future business. By using analytics, best practice methods, and staying up-to-date with social media trends, Ed helps IMS to chart their growth and plan for their long term goals and objectives. At least two industry news articles and client case studies are written every month for email newsletters. While working on updating the IMS web presence, Ed is adept at moving through challenges to resolution with the speed and accuracy demanded by today’s fast paced, digital world. And this needs to happen when required, around the clock, 24-7-365. With Ed’s technical skill, dedication, creative solutions, and the intuitive business acumen to execute activity in a timely fashion, the quality and integrity of content is ensured for long-term maintenance of IMS’s professional reputation. 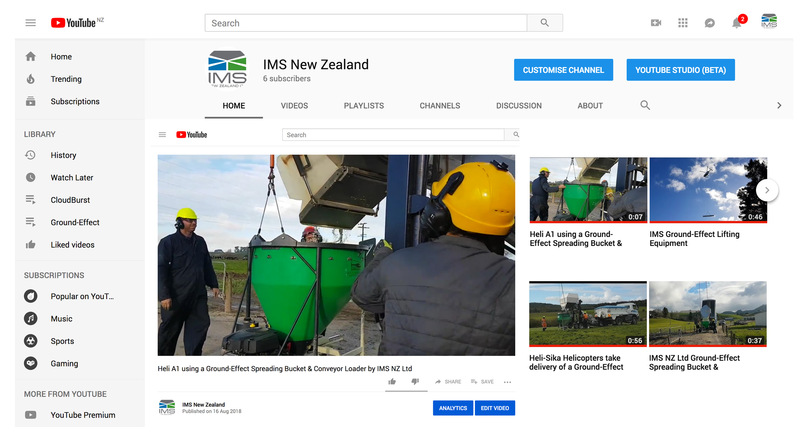 The IMS Youtube channel will become much more valuable in the future as video becomes the content of choice. Ed has opened a world of potential for IMS on the global stage that’s just not accessible without the skills and graft of a professional marketer. The figures speak for themselves. Website traffic alone has more than doubled since Ed has been at the helm of IMS’s online marketing. The vast majority of this traffic are new visitors, attracted by energetic, engaging social media content. New visitors are potential new clients, and an until more recently an un-imagined degree of exposure for IMS. As seen above, Google Analytics and MailChimp metrics speak for themselves with the numbers rising every day. Prior to working with Ed, IMS were already producing products to an internationally-coveted standard. But Ed showed them how to promote themselves better online, to tell their story in a tone suited to their operation, in a way that garnered the attention of the global aerospace market. Ed recognised the need to be online and on-point, around the clock, particularly for international consumers across time zones. Whether it be social media management or an urgent website changes, Ed has IMS’s back. The website’s Super Gallery compiles the entire collection of IMS imagery in one place as view-all or categorised. For a targeted, digital marketing and communications strategy that will make the most of what your business has to offer, and push you into the international spotlight, get in touch with Ed today.